Whereas modernists constantly attempt to reduce the meanings of texts to an essential core or single truth, postmodernists are antifoundationalists and anti-essentialists.  According to postmodernists, the meaning of a text is never grounded or stable, and therefore one can always find multiple meanings or truths. Thus, one performs a postmodern flip by taking a segment of a text, event, or concept that apparently has been reduced to a static meaning or truth and suggesting the possible existence of another meaning or truth. The postmodern flip then is completed by exploring how this new meaning or truth of the segment of the text, event, or concept might reorient one's understanding of the whole. This Article begins by concentrating on judicial practice by describing the Teague rule against new rules in habeas corpus cases. In a series of decisions, the Supreme Court has focused on the issue of whether constitutional rules should apply retroactively in habeas cases. These decisions conclude by severely restricting the scope of habeas corpus. The Teague rule against new rules prohibits, with two narrow exceptions, federal habeas courts from announcing or applying new rules of constitutional law. Hence, a state prisoner can gain relief only by showing that the state courts ignored or misapplied an old rule of law. Consequently, the article proceeds by performing a postmodern deconstruction of the Teague rule against new rules. It goes on to explore how the Court's judicial practice itself manifests postmodernism. The article concludes with another postmodern flip. 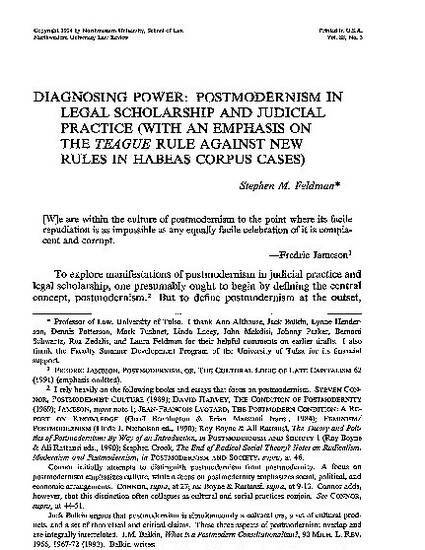 This time, postmodern insights are self-reflexively turned onto postmodernism itself--in particular, onto postmodern legal scholarship.